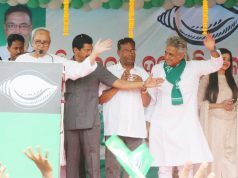 Bhubaneswar: KIIT AND kiss Founder Dr. Achyut Samant joins BJD in presence of Chief Minister Naveen Patnaik at Naveen Nivas in Bhubaneswar . 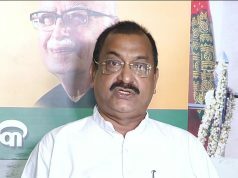 Dr. Achyut Samant will be an asset to the party; Names of candidates for the three Rajya Sabha seats will be declared at 5 PM today, says BJD supremo and CM Naveen Patnaik. 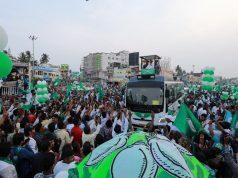 It should be noted that Achyuta Samanta is the founder of Kalinga Institute of Industrial Technology (KIIT); Kalinga Institute of Social Sciences (KISS), which provides free accommodation, food, healthcare, and education from class 1 to post-graduation with vocational training; KIIT International School (KIS), an International Baccalaureate affiliated school, and Kalinga Institute of Medical Sciences (KIMS), a medical college.